Its time. I’ll keep this short but we just made f0.2.8d available. Yes thats right, we have done an update… Its not the unity 5 beta .. no not yet. And its not the online version. 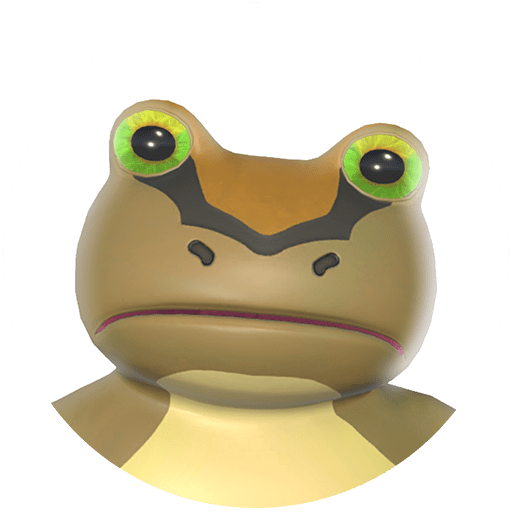 This is a gift from us to the community to say thank you for all your patience and also for making Amazing Frog? possible. 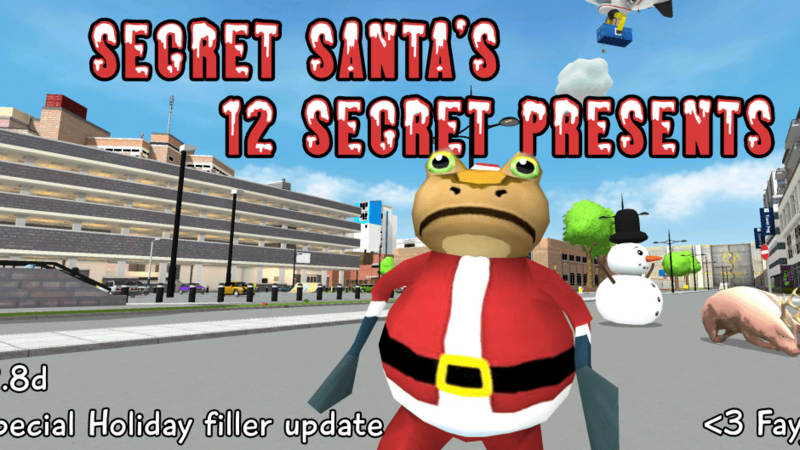 I won’t say too much about the Update other than there are more secrets as usual and you can unlock 12 holiday gifts. However, I will say this , the challenge will expire on the 12th day of Xmas as the decorations are taken down. I’ll leave you to explore the update yourselves. Happy Holidays and Thanks. So If you are still reading down to this bit, heres some more information about whats going on. Firstly, Why have we done another Unity 4 update? The short answer is because the Unity 5 version is not ready and we couldn’t allow Xmas to pass without putting a festive update out… its just not how we roll. 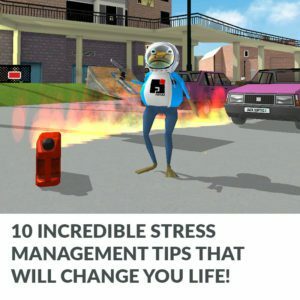 The longer answer is along the lines of what I mentioned in the last devblog, although progress on the Unity 5 build is exciting, the feeling of the gameplay is not quite right yet and it has become increasingly necessary to reprogram a whole bunch of fundamental froggy stuff (F.F.S). Once I had got past my initial instinctive fears of change, it became very clear to me that this process is having an increasingly positive effect on the overall development. This is mainly because it is allowing us to reorganise some of our key fundamental systems. Key Systems like driving and access to cars, weapons and where to get them, currencies and where to spend it, apps and how to get more out of them, citizens and what they are doing, police robbers etc. We are not looking to lose the “open” nature of play in Amazing Frog? but after spending a couple of years developing and adding its been good to refine and organise. We have been working exclusively in Unity 5 for the past few months, so to make this update possible we again brought some aspects of the newer game into unity 4. This is why you may find that gift number 12 is fairly experimental. Expect spelling mistakes. 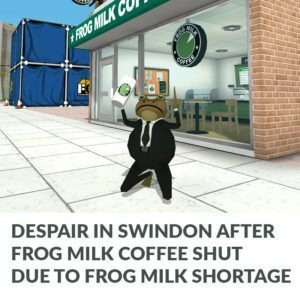 I know that the new xmas drink in the FrogMilk Coffee Co has the incorrect price on it its says 88 Frog Milk Tokens when it it actually 8. Also feel free to play spot Gaz’s rushed typos. We never hold content back that is ready, we always want to get it straight into your hands. Since its is just the two of us we have nothing to gain really from holding back content that is ready to play. because once something is ready to play we are working on the next bit, we don’t have any level marketing strategies or anything like the bigger games companies. We embrace that this is Early Access and keep progressing the Amazing Frog? world.